The SAT blacklist is out. The SAT blacklist is out. 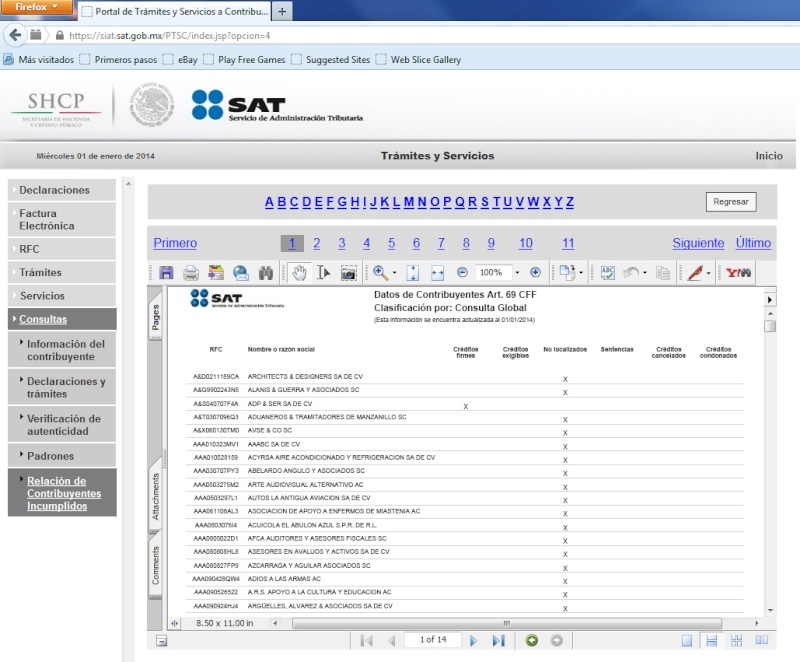 SAT (Servicio de Administración Tributaria), Mexico's Tax Agency is delivering their promise to make public a list of people and companies who are unable to be located as well as who have tax debts and also companies who sell fake facturas or are involved with money laundering (Articles 69 and 69-B of the Federal Tax Code (Código Fiscal De La Federación). Well if a company has tax debt then there could be a lien on their property so they may not have the right to dispose of the property. Your ability to deduct an expense on your taxes may be limited if a company is a known seller of fake facturas and you will have 15 days once the company's name is published to respond to SAT and prove that you actually received the goods and services listed on the factura. It is a crime to issue, sell or use facturas from companies who are a sham, defined as having no employees or equipment to be able to provide the goods or services listed on their facturas. Lastly, people on the list can be involved with money laundering so there may be new burdens on people and to companies to consult the list as now they have a way of checking who they are doing business with. Why get involved with the bad guys if there is a way to check first? Better to check than have your property seized later and argue that you didn't know about the way to check up on people and businesses before working with them.